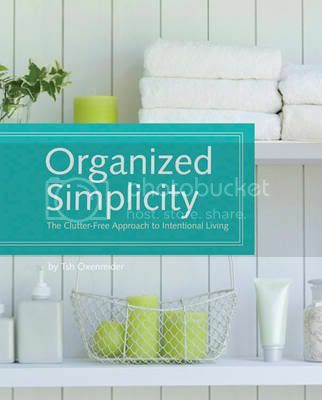 Organized Simplicity's aim is to convince its readers that simple living is the absolute best way to live. Be it with house cleaning, family schedule management, personal finances, and managing the "stuff" you allow within your four walls, the only way to live well is to do so intentionally and simply. The first half of the book delves into the why behind realistic simple living, giving the reader a nail to then hang the how of living simply discussed in the second half. And by redefining the too often-used phrase "simple living," a busy home manager living in the real world can then make practical changes that work for the whole family. There are chapters for cleaning and organizing the home room-by-room, and future project ideas will inspire readers to turn their house in a haven they love. Tsh Oxenreider is the writer and editor of the popular blog SimpleMom.net, and is the founder of SimpleLivingMedia.com. She spends her days with her husband and young children -- exploring the world, reading and learning, and being inspired by whatever surroundings their travels take them. Simple Mom is a member of the exclusive 9 Rules network, and was nominated for Best New Blog of 2008 in the 2009 Bloggies. All five blogs in her company, Simple Living Media, are geared towards simple living and receive almost one million page views monthly. WOW!! What a great book. So many great tips in it !! I really have a hard time getting organized these days because I am just so busy but this book really is helping me out quite a bit and also giving me some ideas.